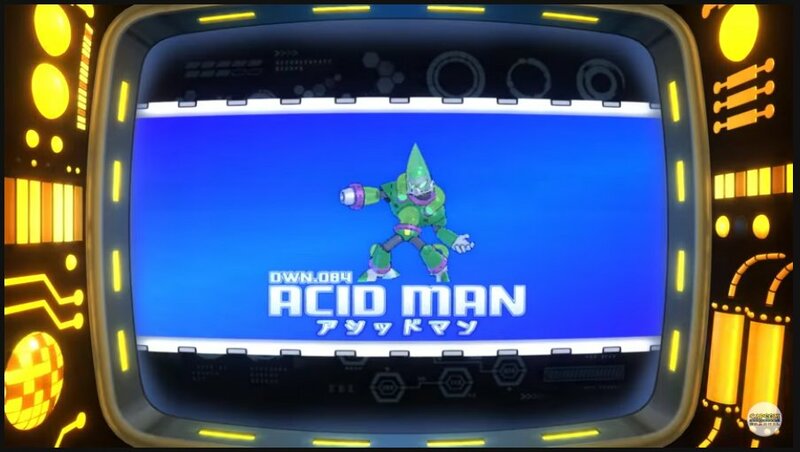 So to kick off Tokyo Game Show 2018 we get a 2-for-1 reveal: say hello to Acid Man and Tundra Man! "In a past life, Tundra Man was a surveying robot, designed to keep track of various environmental changes in some of the coldest places on the planet. With no one else around except a few animals and a television to keep him company, Tundra Man found a new purpose watching an ice skating championship on TV. Ever since that fateful day, Tundra Man has dedicated his life to the fine art of figure skating, and now claims a frozen museum as his new lair with the hopes of one day displaying his icy art form to the world. Unlike the (relative) safety of Boing-Boing Park, the museum is a much more hazardous place. The floors, walls, and ceilings are covered with dangerous icicles, and true to classic Mega Man games, a single run-in with spikes can spell doom for our hero! Be sure to tread carefully, as getting around on the slippery, icy floors can be a difficult task on its own. 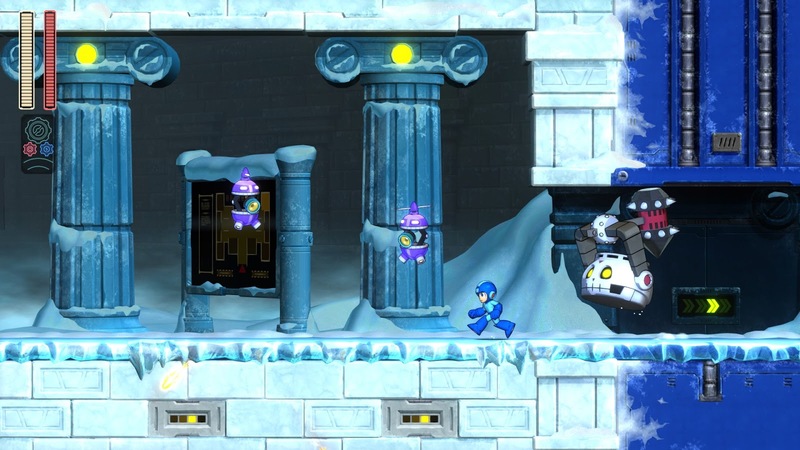 You’ll have to stay on your feet and ensure you’re keeping a grip on things to avoid sliding into stray enemies like robotic snowflakes that lazily drift down from the sky, or birds that drop frozen blocks of ice on Mega Man’s head. Keep an eye out for stray Gabyoall security robots, too – this classic floor-hugging enemy becomes an even bigger threat when you’re sliding around. You may be on thin ice in this stage, but that doesn’t mean it’s all doom and gloom. You’re still in a museum, so think of it like you’re taking in exhibits. Watch your step as you go, take things slow and steady to avoid nasty run-ins with spikes and pits, and maybe give yourself a moment to appreciate the sights. Most museums ask you nicely not to touch the exhibits, but this marvel of technological archaeology is decidedly more hands-on when you get to the mid-boss. I present to you this specimen from an unknown era: a robot platform carrying around the skeleton of a mechanical mastodon. While you may be tempted to aim for the mastodon on top, don’t be fooled – it’s the platform below that makes up the brain of the operation. For something so large, this duo is surprisingly agile! You’ll need to put all your skills to use to avoid being hit by damaging attacks as it crashes around the room. 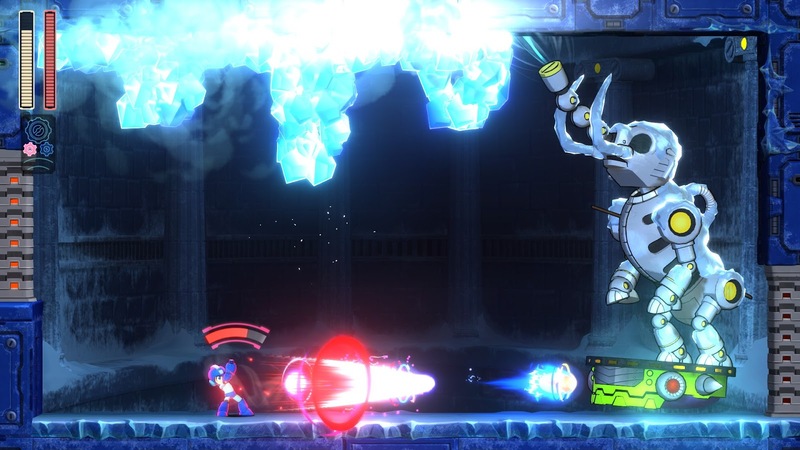 The icicles that drop from the ceiling can do some serious damage to a certain blue robot caught underneath, but they might have more than one use if you keep your wits about you. 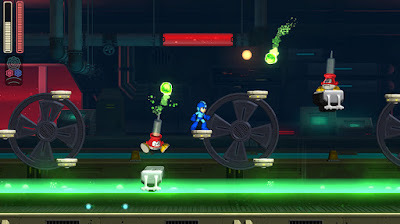 After you send this mid-boss back to the Stone Age, you’ll be able to glide on to Tundra Man’s lair. 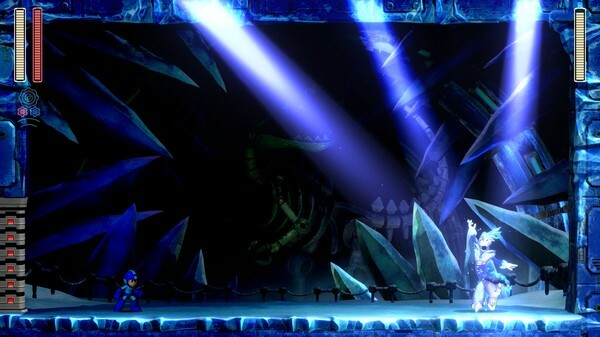 Tundra Man gives Mega Man the cold shoulder as he makes his grand entrance, complete with stage lights to highlight his big moment. 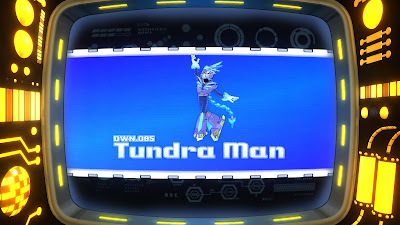 Ready to show off his impressive ice skating skills to a captive audience, Tundra Man will skate along the ice-covered floor of his lair while throwing in a few aerial twists and graceful pirouettes for good measure. Although he may be difficult to hit as he whirls around at high speeds, his natural need for showmanship in between attacks can provide just the opening you need to land some powerful shots. Tundra Man can be tough to take down – he was built for arctic exploration and research, after all – but with careful movement or the right Robot Master weapon, you can shatter his icy veneer and claim his weapon for your own. 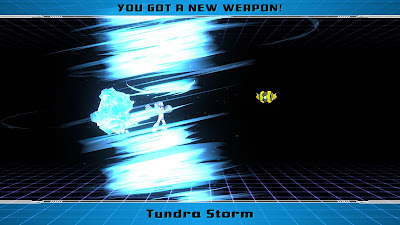 Defeating Tundra Man will equip you with Tundra Storm, channeling Tundra Man’s graceful aerial twists to create a column of icy winds in an attack that can hit enemies above and below the Blue Bomber. 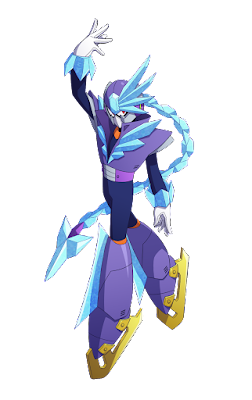 If you really want to send your foes into a deep freeze, turn on the Power Gear for a frozen blast that covers the entire screen!" "A cutting edge chemist turned mad scientist, Acid Man is bent on mixing volatile concoctions. But he's ready for battle as soon as his Acid Barrier goes up! 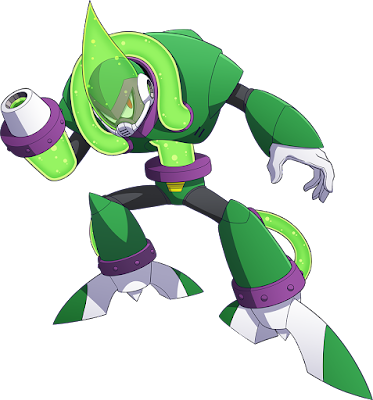 Acid Man's corrosive shots and barrier only become more intimidating as soon as he activates his speed gear, sending him into the pool for a flurry of chemical chaos!" 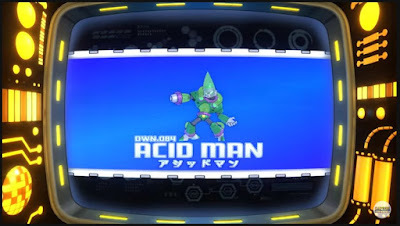 "Acid Man's stage takes place in his chemical plant, a dangerous facility run amuck, the robots and other machines pose as big a threat as the massive vats of acid. Not to mention the river of chemical runoff." The Official Mega Man 11 Website has been updated with info on both Tundra Man & Acid Man & both their English & Japanese voice samples have been added! Only 11 days to go until we get to experience this ourselves. The wait is almost over! AWESOME!!!! CANT WAIT TO PLAY IT. 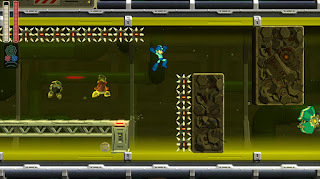 Good news: Acid Man's stage has underwater sections! 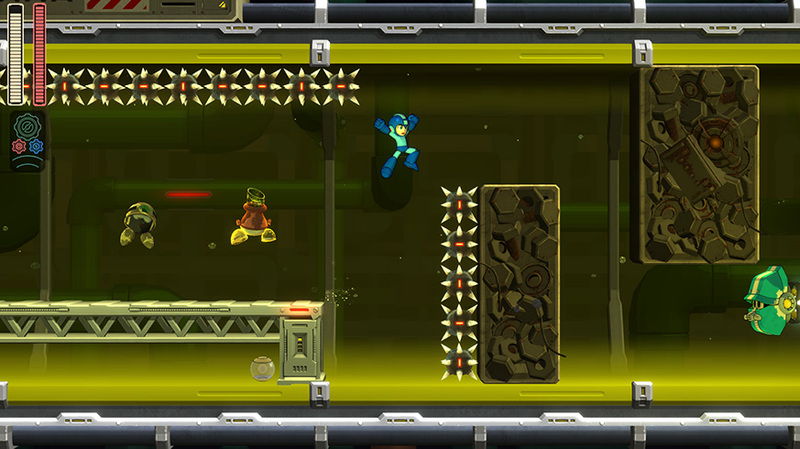 Bad news: Although we got the Charge Shot and Slide back after Mega Man 9 got rid of them, Mega Man 8's swimming is still missing. Tundra Man has spotlights on him during the fight? This guy is hundreds of times better than we could have imagined him by just his bust shot. I had'nt noticed that Torchman have Kamina's voice. 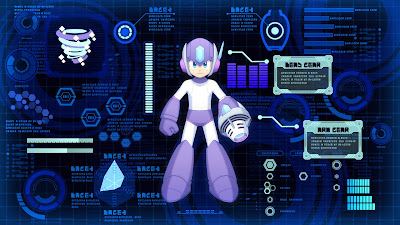 I don't get why Mega Man needs a buster for Tundra Man's power. Tundra and Acid Man sound great in English. I think I know who their VAs are.